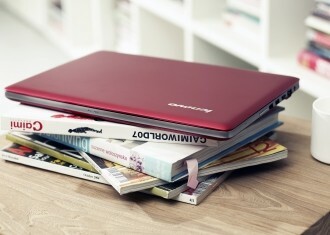 Lenovo still classifies their consumer PC division as an important cog for company growth even as other manufacturers struggle with maintaining profit margins as a result of declining sales. As such, executive director of worldwide consumer product launch Nick Reynolds said that division and the mobile Internet devices sector remain part of their “attack” strategy to aggressively gain market share. The comments were in response to recent reports that competitors Dell and HP were having a difficult time keeping their divisions profitable. But ever since Lenovo took over IBM’s commercial PC business in 2005, they’ve been inching their way into the consumer market with their “Idea” branded products. Reynolds pointed out that Lenovo is now the market leader for consumer desktops and they rank third in the consumer notebook category. In other Lenovo-related news, shareholder NEC decided to sell their entire stake in the company in order to raise much-needed cash. Lenovo share value reportedly dropped 7.6 percent in Hong Kong trading following the news, the largest decline since mid-June. Lenovo awarded NEC 281.1 million shares in exchange for a majority stake in a joint venture between the two companies. NEC was prohibited from selling the shares until two years after the deal was finalized in July 2011 but considering NEC’s financial needs, Lenovo gave them the green light to cash the stocks in early. Lenovo vice president Roderick Lappin said the sale will have no bearing on their joint venture.